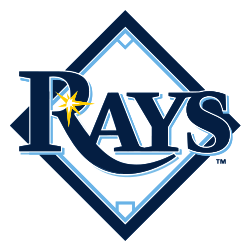 Pinellas County officials have proposed 10 sites for a potential Tampa Bay Rays ballpark, but it remains to be seen if any will entice the team. What is notable about the sites pitched by Pinellas County is very few are located in an urban center. The only St. Petersburg plan that was mentioned calls for a new ballpark to be built on the land surrounding Tropicana Field, with several others–such as the 135 site that houses the Derby Lane dog track–being located in unincorporated sections of the county. Among the other locations discussed included some sites near Clearwater, Oldsmar, and Pinellas Park. Commissioners Ken Welch and Dave Eggers asked staffers to present similar information for any other available sites in St. Petersburg, although Mayor Rick Kriseman favors the property around Tropicana Field. Welch urged commission Chairman Charlie Justice and Woodard to meet with the team for in-depth talks. Rays president Brian Auld and senior vice president Melanie Lenz, who is leading the ballpark search, were in Denver with the team Tuesday. Auld told the Tampa Bay Times by telephone that the cost will be site specific and that the size and shape of the property and its location will be factors. He noted that several of the sites hadn’t been explored by the Rays previously. “If we had been in town we certainly would have been there,” Auld said, adding that he welcomed the presentation. Notably, a few Pinellas County locations that have previously been on the table for similar proposals were not included in this recent report. The County left off the Al Lang Field property in downtown St. Petersburg, and omitted the Toytown landfill location that was one pitched for an Atlanta Braves spring training complex. Officials indicated that they will explore the latter location in more detail, but the Rays are not believed to be interested in the site.